Navigating the complexities of a postwar world, Vera and her family face the changing ideals swirling around them. From rising controversy surrounding women’s presence in the workplace to the town’s cold reception of the newest member of the family—a beautiful French freedom fighter—the American dream of days gone by has been thrown off balance. Even Vera’s own life is set spinning when, despite her better judgment, she feels a growing attraction for the brooding and mysterious local schoolteacher. As the Larsen family and their neighbors tread on thorny territory, will the people of this small town find the strength to embrace an unfamiliar and extraordinary future? 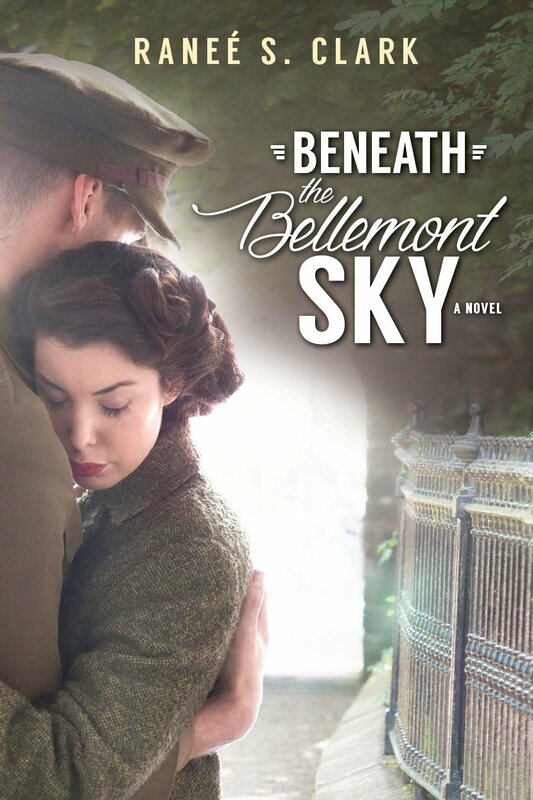 I've read several contemporary novels by Ranee S. Clark, and was excited to read her historical novel, Beneath the Bellemont Sky. It is an enjoyable story about people adjusting to life after WWII in a rural Wyoming town. The story follows the Larsen family, and switches back and forth between their grown children. Most of the characters are quite likable, although with such a short novel and so many main characters, I didn’t feel like I got to know them very well. It was somewhat of a slow read, but my interest was held. I especially liked the hope and happiness that came to one of the characters that was deeply burdened by his part in the war. This book is almost 3 separate stories in one. There isn't one main character - instead, we read the story about 3 different couples and how they got together, or how they worked out problems, etc. Even so, this story flowed well and it all worked out. I do wish that there was more with Josette though. She wasn't really mentioned any more once her story was resolved. I would classify this as a WWII book, but not in the traditional sense, since the war is over. Instead, this book is about the aftermath, and how people are putting their lives back together, and finding a new normal. I'll be honest, I really didn't like Sam very much. His overbearing "You will do what I say!" attitude with Eleanor just didn't sit well with me at all. I really enjoyed getting to know Vera and Dominick better, and loved how patient and understanding Vera was with his post-war issues. This book is not a quick read - it does move kind of slow sometimes - but I really enjoyed it and would recommend it to others.